1. 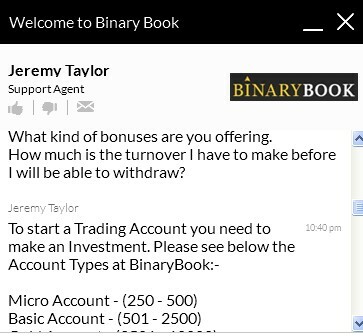 What Makes BinaryBook Different Than Other Brokers? 2. 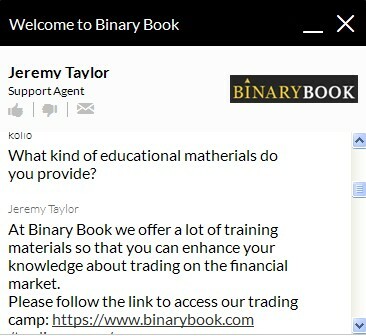 Do BinaryBook Offer Binary Options Trading Education For Newbies? “… At Binary Book we offer a lot of training materials so that you can enhance your knowledge about trading on the financial market. 3. Is there any bonus program for new clients on BinaryBook? How big is the bonus wager? 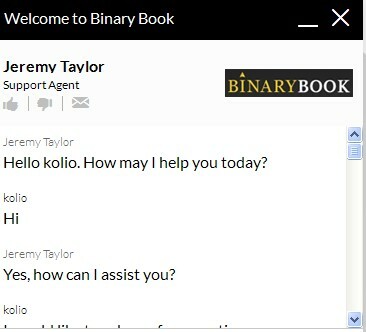 BinaryBook is a relatively new binary broker on the scene who is using the well known SpotOption brand and that’s why it brings our attention. The chat with BinaryBook representative was usual. Answers were quick and accurate. 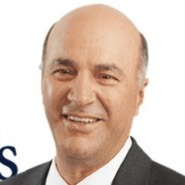 With the lack of demo accounts and lack of something special or innovative I can’t say something more than the next spotoption brand is there. Visit the Complete BinaryBook Review by Martin Kay.